Lori and I reached the farthest point of our 1,200-mile road trip through Eastern Oregon on Sunday afternoon. 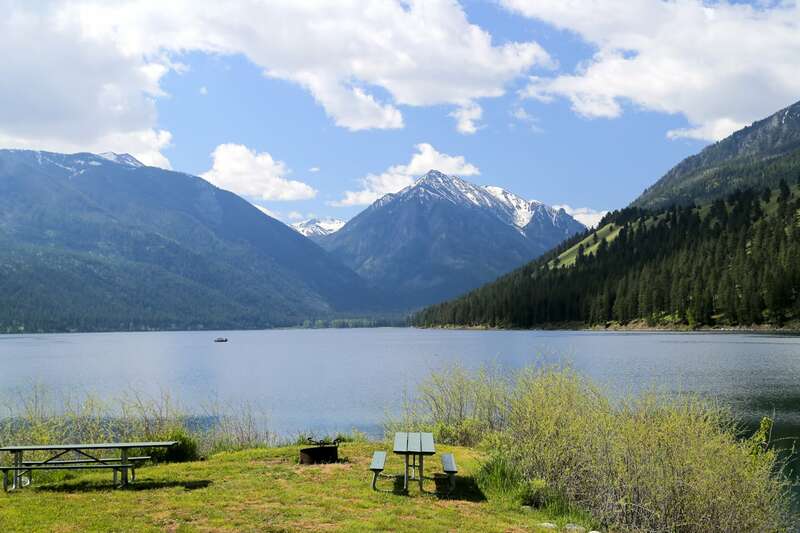 Wallowa Lake State Park is located in the far northeastern reaches of the state of Oregon, nestled among what are commonly referred to as the Oregon Alps, and for good reason. 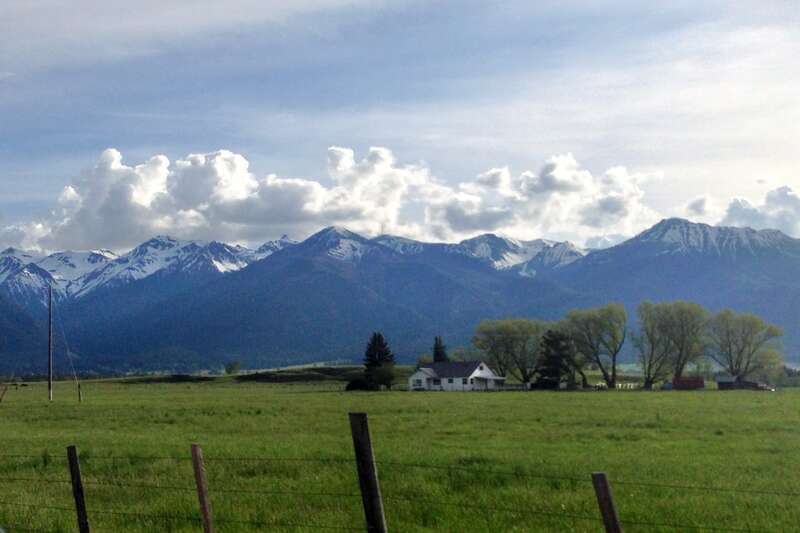 Approaching the snowcapped Wallowa Mountains really does feel like you’ve been transported to Central Europe. 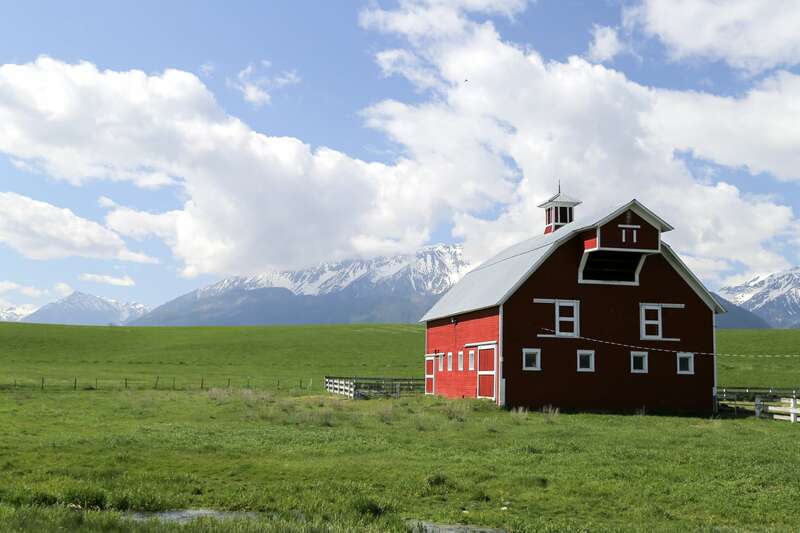 And if that wasn’t enough to get you packing, the Wallowa Mountain range — along with Mount Hood, the Oregon Coast, Columbia River Gorge, Painted Hills, Smith Rock and Crater Lake — is one of the Seven Wonders of Oregon. 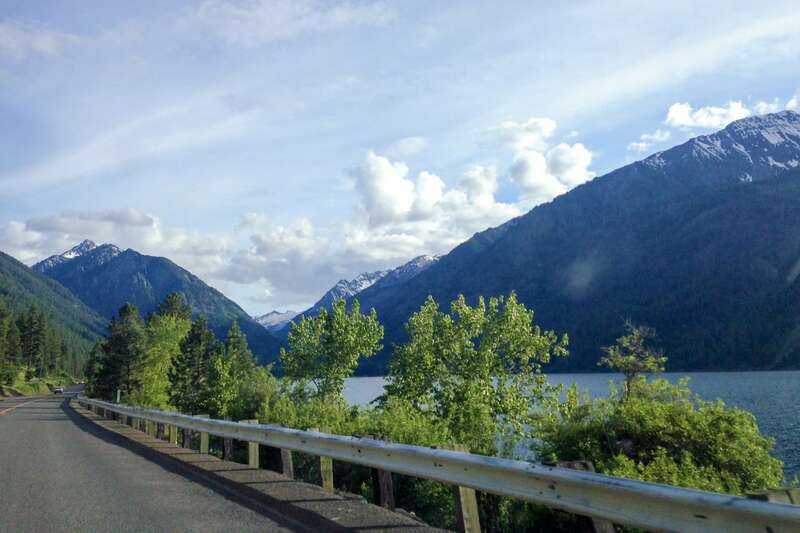 The jagged peaks of the Wallowas enveloped us as we followed the eastern shore of the lake into the state park. The lake and surroundings seemed peaceful enough from this vantage point, but there was no way of knowing the mayhem that awaited us at our destination. 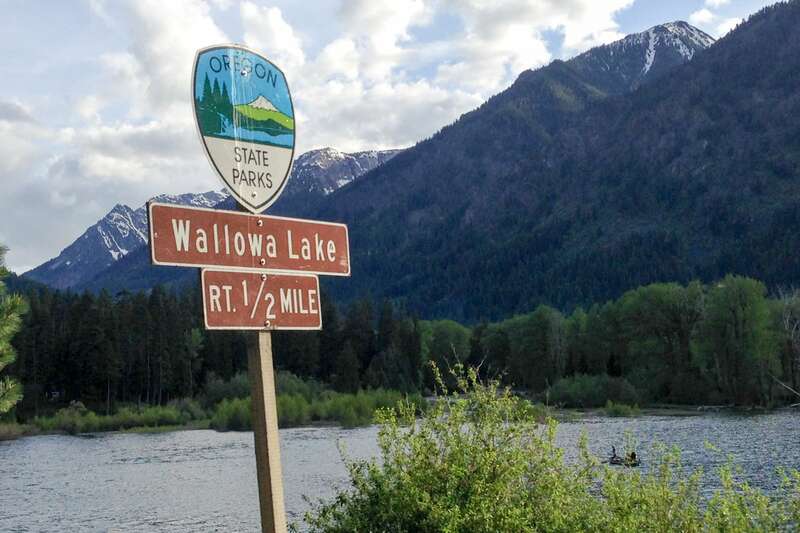 I kick myself now for not taking a photo of the sheer madness that is Wallowa Lake State Park on Memorial Day weekend — 200 campsites in one campground and they’ve all been booked for weeks. 200! 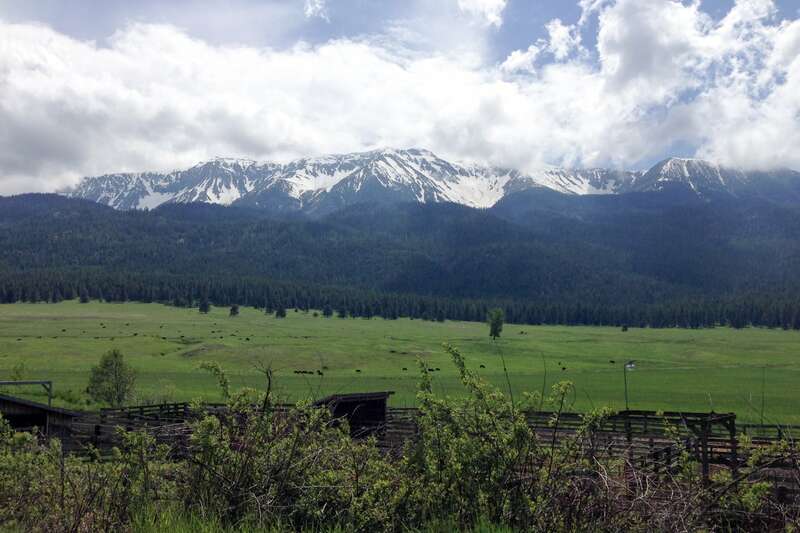 In all of our camping adventures, Wallowa was by far the largest campground we’ve ever stayed at. You can’t fathom the sheer humanity packed in one corner of the lake shore on a tree dotted, but mostly open, area. Families upon families, enjoying their holiday weekend within inches of other families. 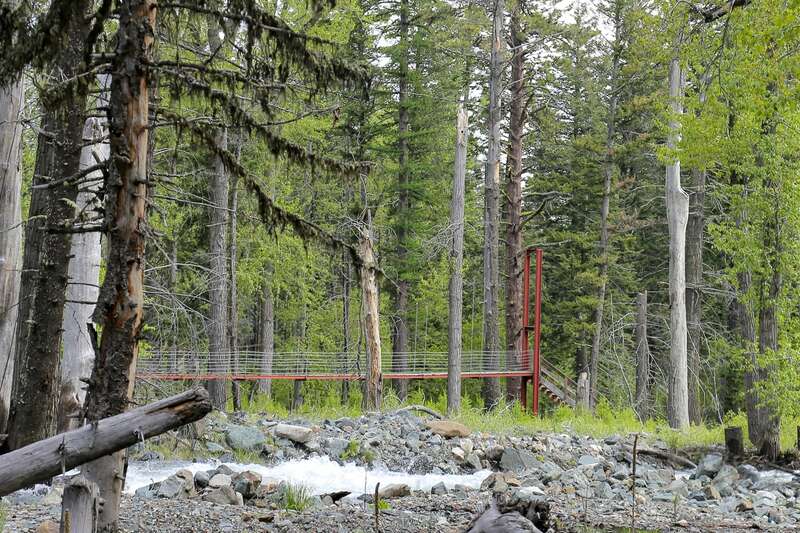 When we arrived, the tents, tables, cars and bicycles of the extended family next to us had overflowed into our site, which prompted some conversation and creativity. We almost felt guilty have a whole 15′ x 20′ section of grass to ourselves for our tiny little 2-person pack tent…almost. 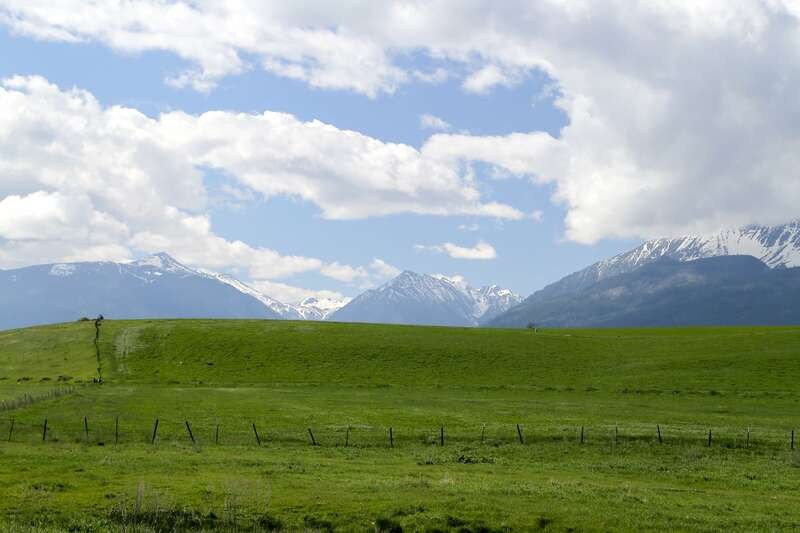 Lori and her family had visited the Wallowas, in conjunction with a variety of other places around Oregon one summer when she was a kid. 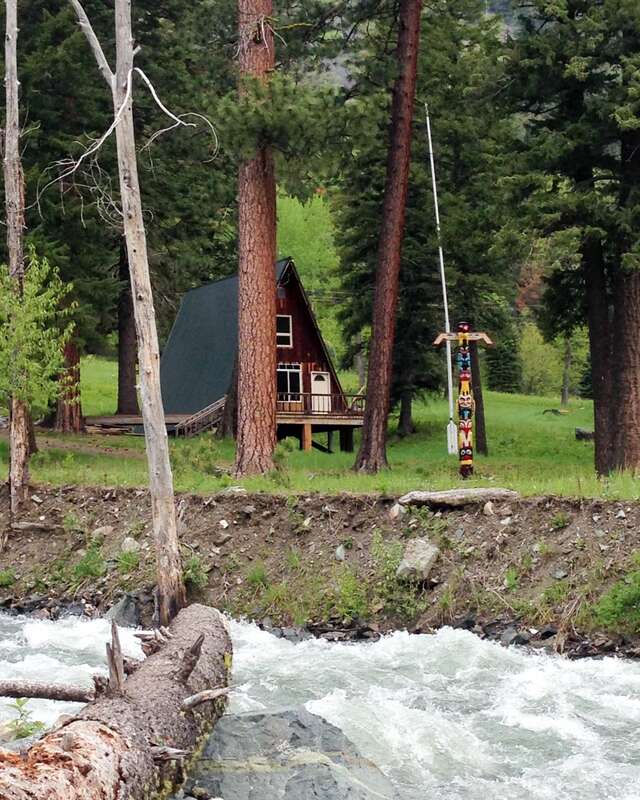 We made reservations at Vali’s, a Wallowa favorite for 40 years that Lori insisted she ate at as a child. Later, we came to find out that she had never actually eaten there, but her parents had during there honeymoon at Wallowa Lake in the 1970s. Vali’s is a small, Central European style restaurant that serves one set meal per day of the week. Their menu has changed very little over the decades (except the prices, of course!) The portions are HUGE (at least for us). 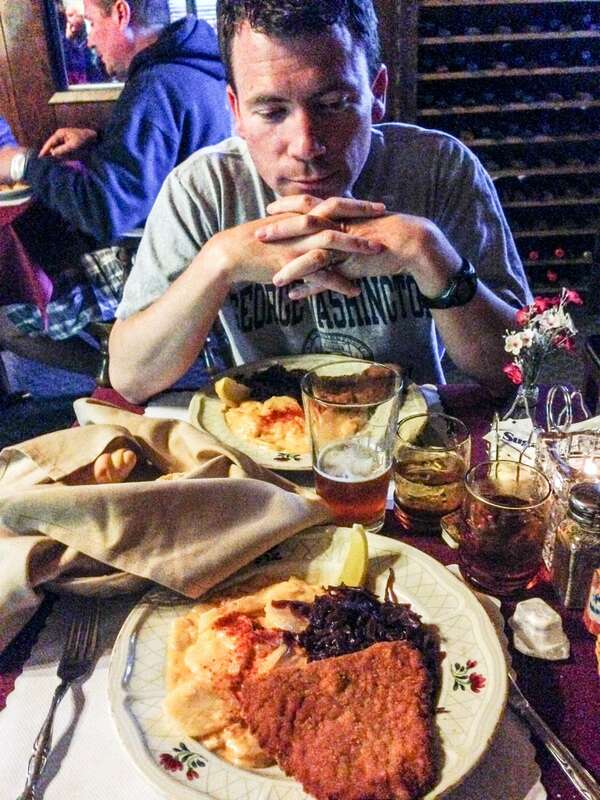 They allowed us to split one of the Sunday schnitzel plates, and along with beer, bread and sides was more than enough to have us rolling out the door! 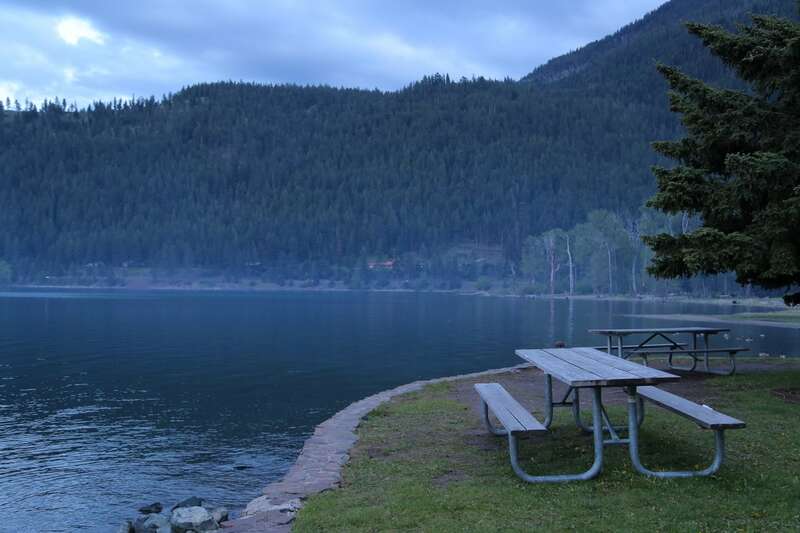 After our amazing dinner at Vali’s, we spent the remaining daylight on the waterfront, taking in the beautiful evening and trying to escape from the thick cloud of campfire smoke parked above the campground. We played cards, listening to the various families and groups around us hootin’ and a hollerin’ until our eyelids got too heavy to care about our game and we turned in for the night. Oddly enough, it was deathly quiet the entire night. We expected parties, lights and noise until the wee hours, but it seemed the thousand or so people in our midst had partied hard over the weekend and were just plain tuckered out, as we didn’t hear as much as a peep until the birds followed the sun up and proceeded to make up for the long eery stillness that preceded them. 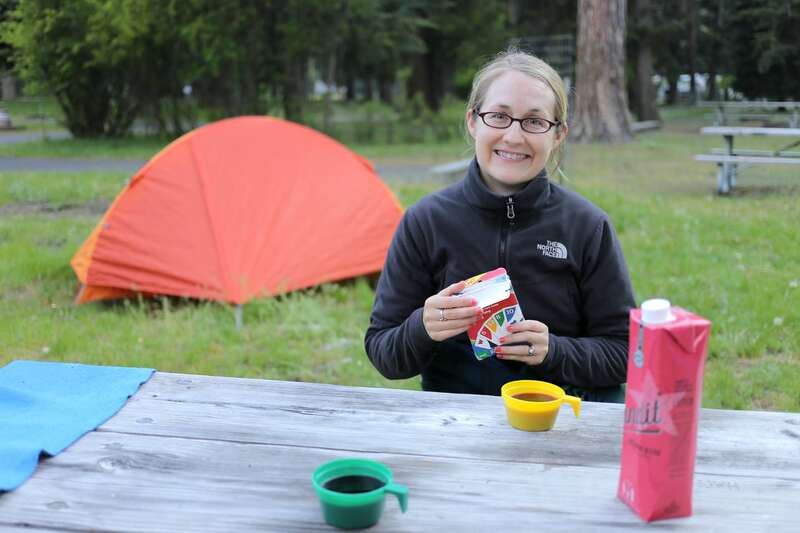 After a rousing breakfast of Quaker Instant Oatmeal and instant coffee, we headed up to the Wallowa Lake Tramway, which ascends to the summit of 8,256-foot Mt. Howard. 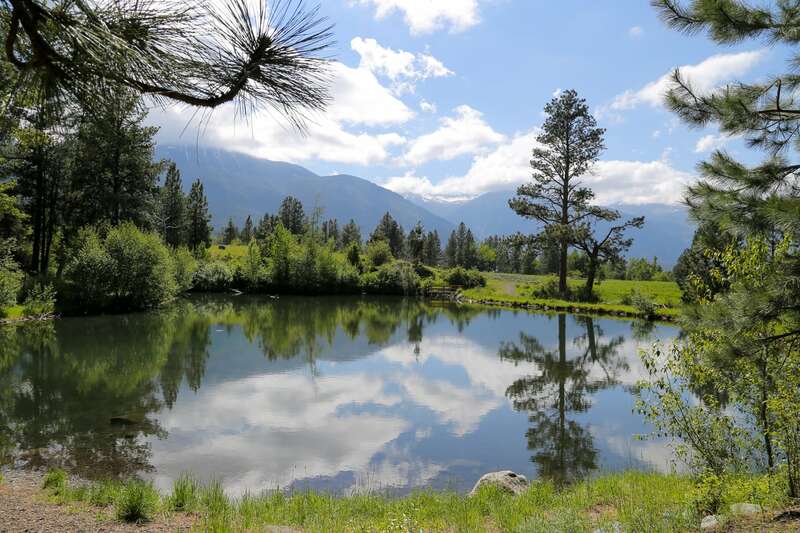 Given that the tram didn’t open for another hour, we continued up the road to stroll around a park along the Wallowa River. 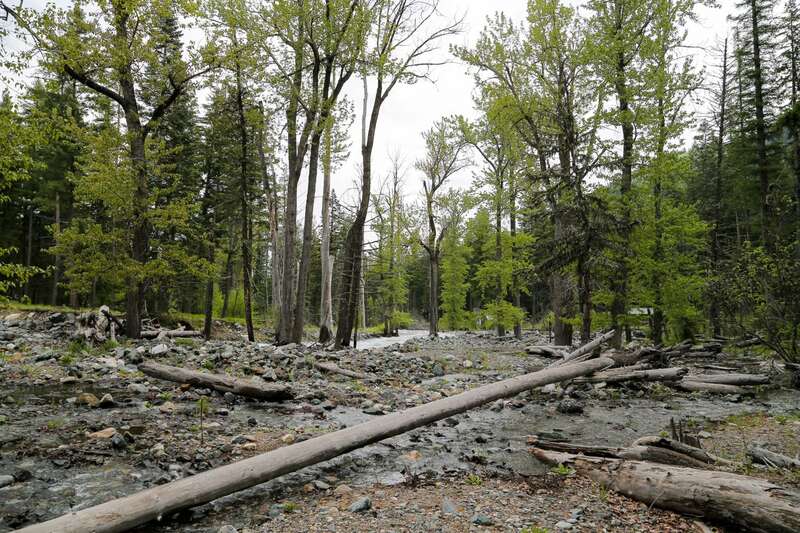 The park is near a hydropower facility that operates a rustic campground. 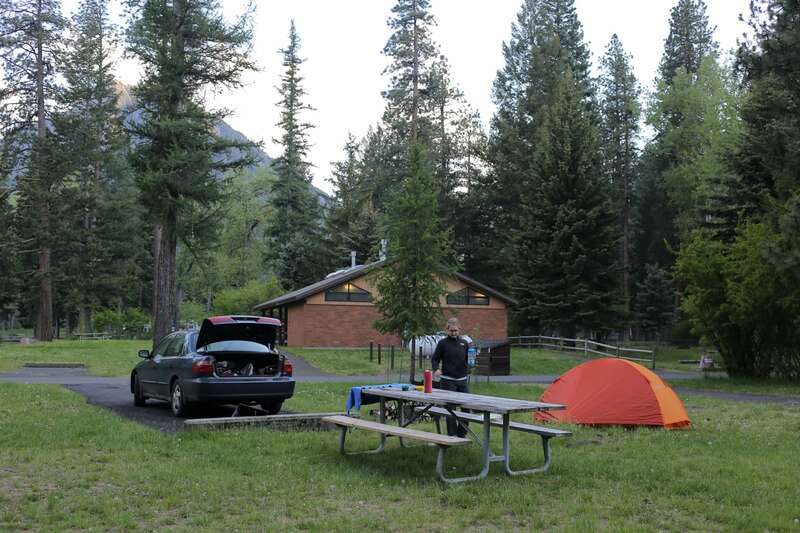 The campground, in my opinion, or at least the setting, was far superior to the openness and relatively characterless campsites of the State Park. There even appeared to be a few sites vacant the previous night. 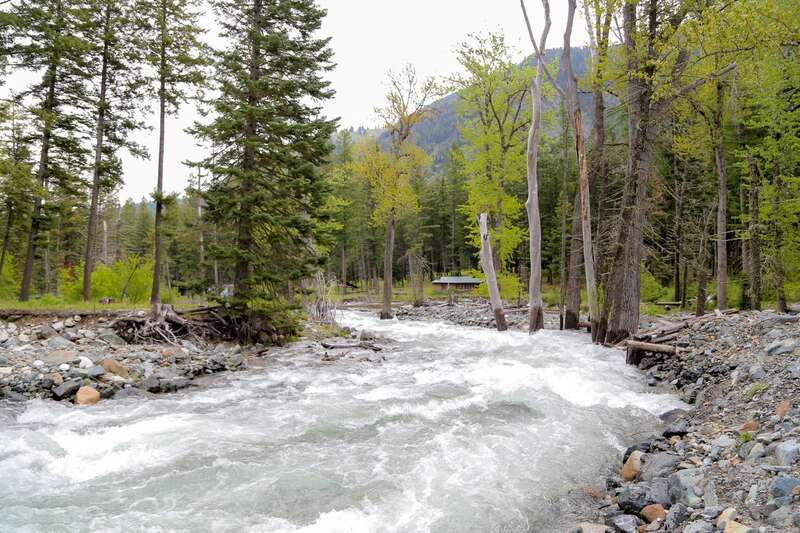 The hot showers at the State Park, however, were a nice treat after three days of camping and hiking without a shower, as the campground near the hydropower facility only had vault toilets. 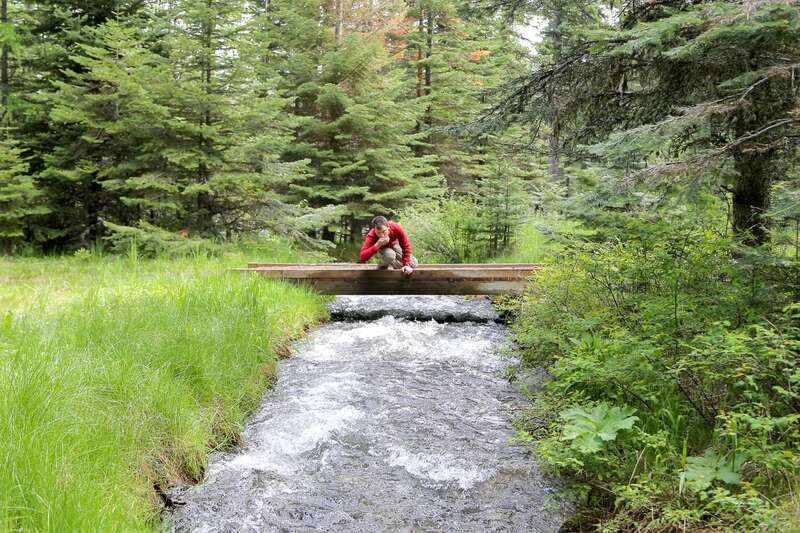 Nevertheless, I would recommend the campground to anyone who finds themselves in the area. We spent the morning up in the clouds, so to speak, before descending for a delicious lunch in Joseph, just outside of the State Park (we’ll return to the tram ride in a future post). 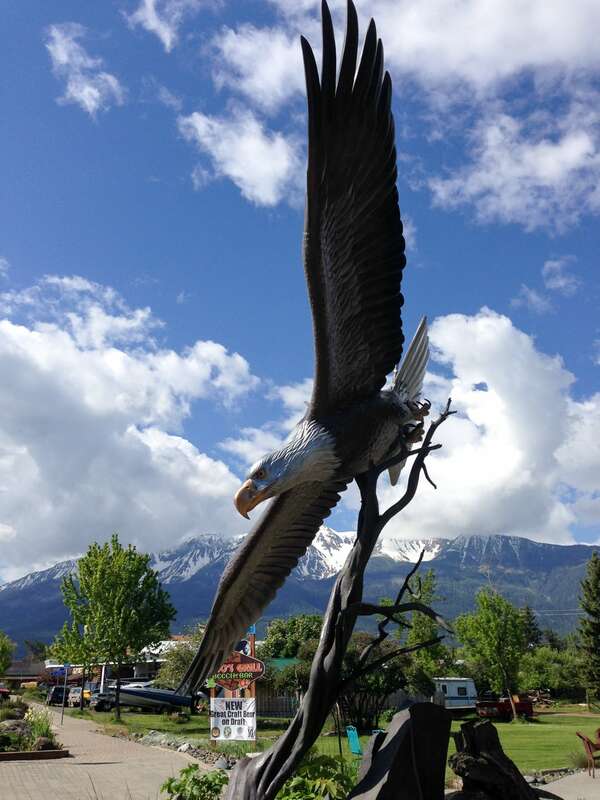 The funky town of Joseph is known for its artsy western flare, and its mammoth bronze sculptures scattered throughout town. 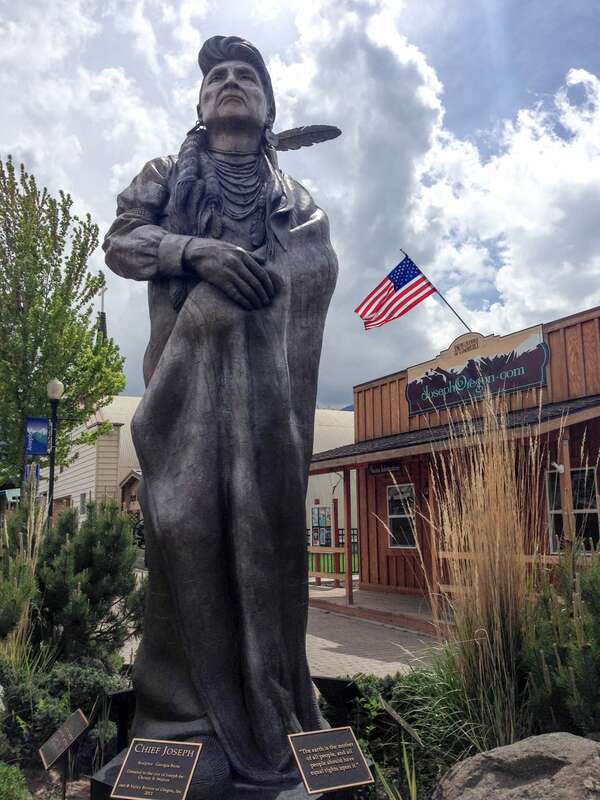 The one in the photo above depicts the town’s namesake, Chief Joseph. 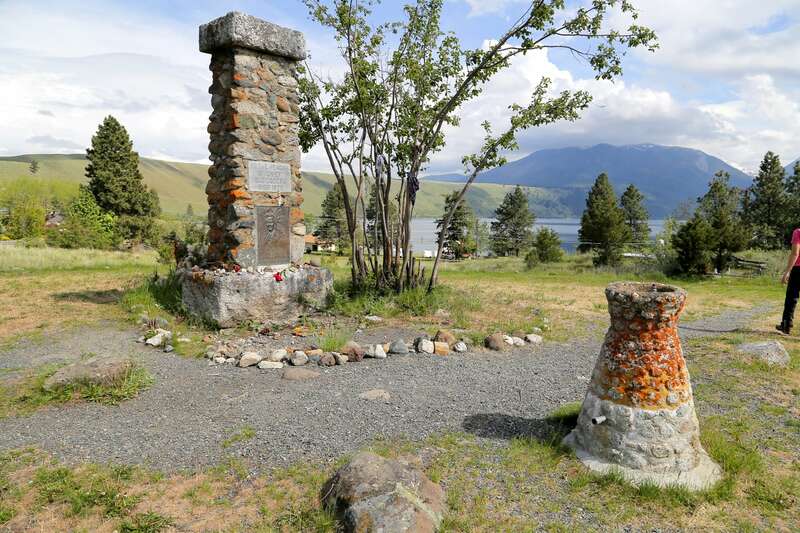 Speaking of Chief Joseph, you can visit his gravesite right outside of town. There’s also a sacred ground with walking trails adjacent to the gravesite that is definitely worth exploring on a nice day. 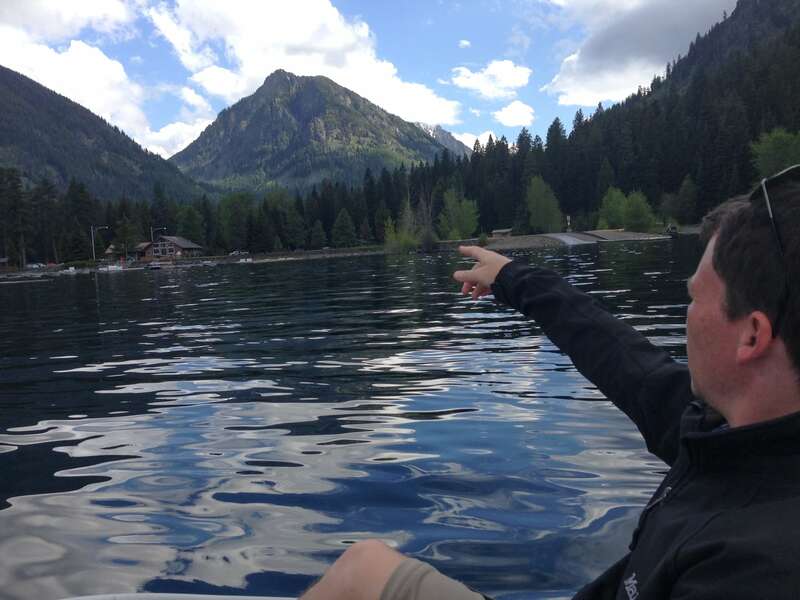 Paddle boating! Actually, it was Lori’s “business,” not mine. 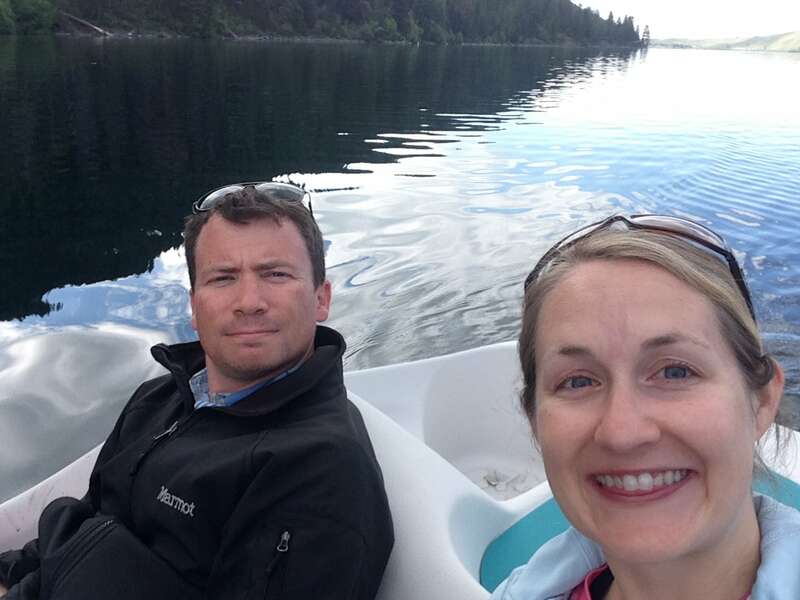 I would have rather we rented a kayak or motorboat, but Lori was intent on paddle boating. 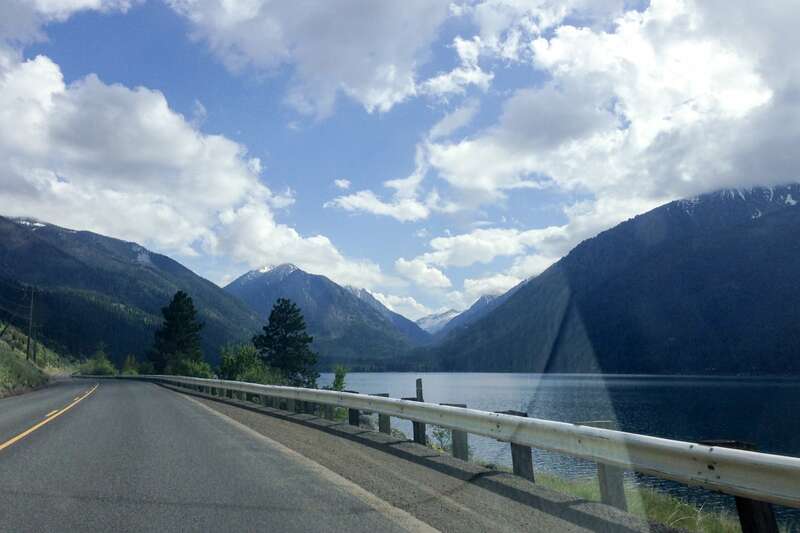 It was one of her only vivid memories from her time at Wallowa Lake and she was set on reliving it. 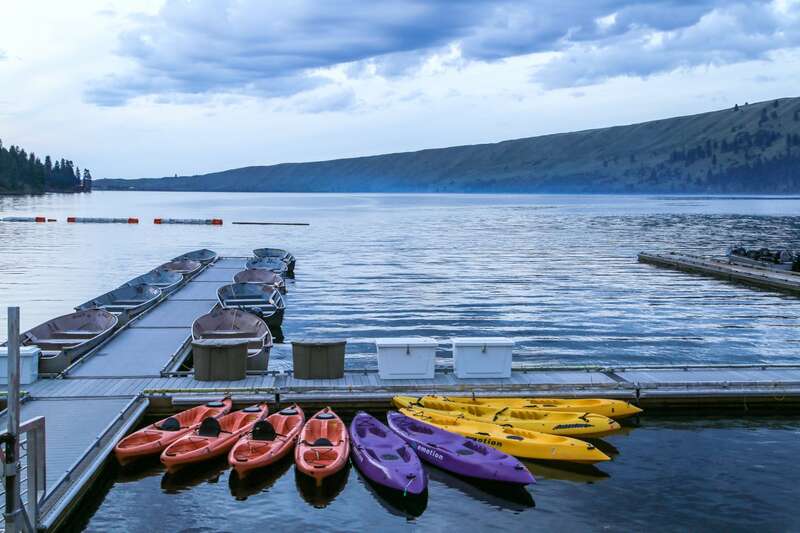 The staff at the rental shop were even a bit besides themselves that, among all the fine watercraft they had to offer — kayaks, canoes, paddle boards, row boats, party boats, motorboats, fishing boats, ski boats — that we picked…well…the paddle boat. 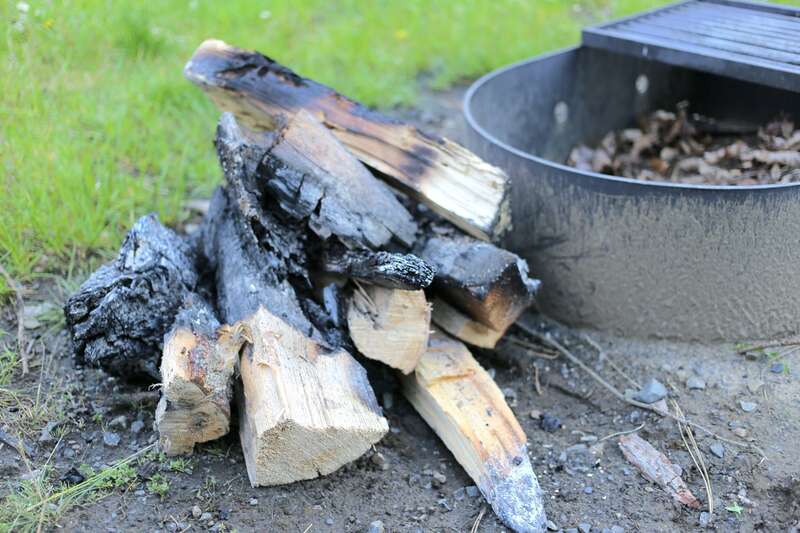 …we took all of their leftover firewood!